I wasn't going to post today - but I found a post at a NEW blog called The Pleated Poppy that I was SO impressed with. 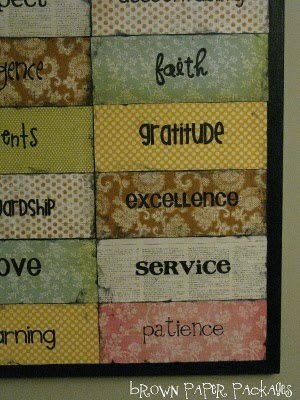 You need to go to the blog to see all the rules written out clearly - but definitley ANOTHER craft project on my list....LUUUURVE it!!!! Do you have something like this at your place? If so, what is on it and how did you make it?